Ladies, we’re always on a mission to find the perfect exfoliant, amirite? One that doesn’t leave our skin irritated, or uncomfortably tight or raw. And the ones that seem promising? Have a medicinal smell that lingers long after we’ve rinsed the product away. The struggle is real. Enter Amibrite! 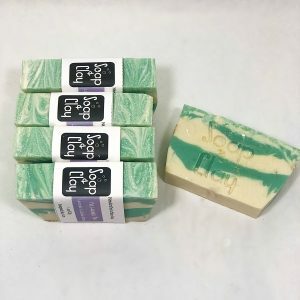 This gorgeous artisan soap is packed with skin softening oils, super-vitamins, purifying clay and natural jojoba beads that are gentle enough for use on body and face. The orange peel powder works to even and brighten skin tone. Plus, it smells like your favorite brightly colored candy. Sweet and tangy notes of grapefruit, pineapple, and blackberry combine with foodie-riffic vanilla and coconut and are grounded with a fizzy ginger ale to create a nose panoply. Candy! You’ll finally understand what Mandy Moore was talking about missing. This bar, she was missing this bar. You don’t have to miss it – pick it up today! Looking for matching products? 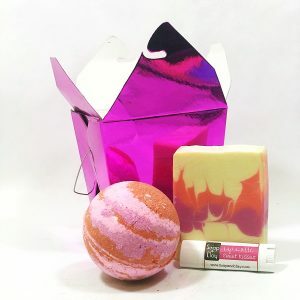 Check out the Scout Bomb – same delicious scent in bath bomb form! 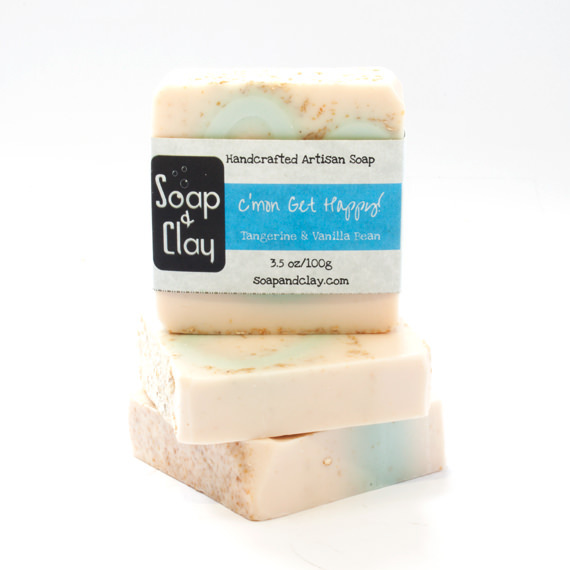 A Soap & Clay favorite! 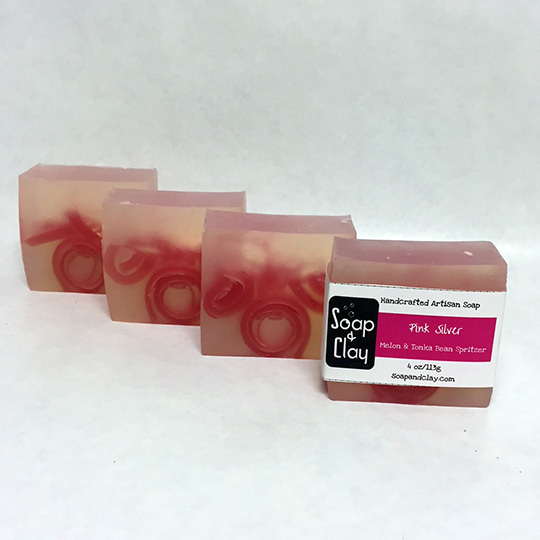 Amibrite artisan soap bar is bright, bubbly, and smells good enough to eat. Candy! From first sniff through the lather, rinse repeat process (which you’ll do. multiple times. because it smells that good), this soap is bursting with happiness. Try a bar today – you won’t regret it! Just for fun, follow the link to hear what grown-up and super awesome Mandy Moore has to say about missing something like candy. Plus her new version, which is amazing and worth a listen.